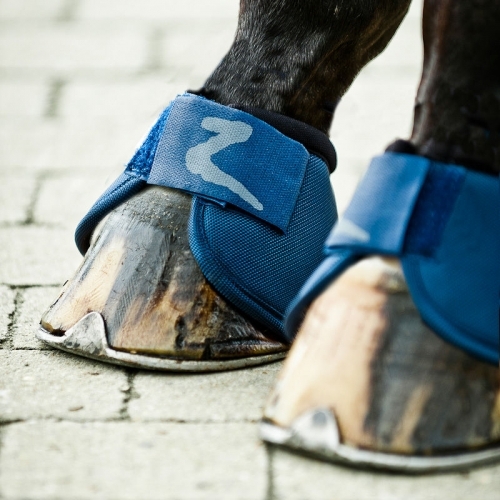 Bell Boots protect horse's heels from "over strikes" or over reach injuries, where a horse catches his own feet. Over strikes can cause significant injury to a horse's heel bulbs, and are a common factor in losing shoes. Every time your horse catches his shoe, he loosens the nails. This can lead to many lost shoes!